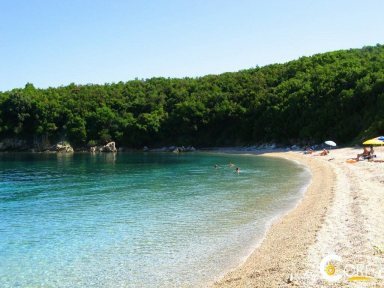 Avlaki beach is located approximately 36 km from Corfu Town. It is a small bay surrounded by green and pebble. As it is located just after the Kassiopi, you will encounter several tourists who stay in nearby hotels. It is nonetheless a relatively calm proposal for dives and pretty organized for sea-blue sports, once there you will be able to rent a boat, surfing, canoe or pedalo for exploring the surrounding area.